Survival International (SI) has received a grant from the Nando Peretti Foundation to continue and extend its support of Survival's email communications to cover this cost for all the tribes SI works for. NPF's grant covers sending out press releases, calls to action, invitations to protests and demonstrations, supporter updates and all the other emails that ensure the efficient running of our successful campaigns. Protecting indigenous land is the most sustainable way to have a positive impact on the lives, health and livelihoods of tribal peoples. 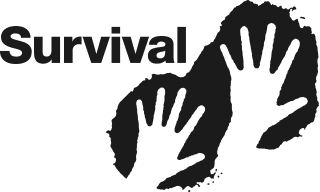 Survival International email subscriber lists run into the hundreds of thousands. The costs associated with this email marketing service provider are significant. Unfortunately, many grant-making organizations will not consider providing funds for these essential outlays. Tribal peoples number around 150 million individuals and are some of the most oppressed minorities in the world: they are subject to violence and extreme exploitation, even genocide; their lands are stolen; their children are forced into unsuitable schooling; and their languages, religions and histories are not recognized, resulting in the loss of their culture. Survival's gives them a voice to address the world, and defend their right to exist. One of SI main focuses is campaigning for tribal peoples' right to ownership and use of their lands. All their human rights derive from this. Through securing their lands, SI work prevents poverty: tribal poverty can always be traced back to the loss of their territory, which is fundamental to their survival. As has been repeatedly shown, tribes do not survive - other than in destitution and despair - when they are forcibly displaced. In common with the NPF's mission, Survival International work is also instrumental in protecting the environment. Eighty percent of the most biodiverse areas on Earth are home to indigenous and tribal peoples; studies have shown that indigenous territories in the Amazon are be more effective at preventing deforestation than parks and other protected areas. In the last 40 years Survival has been instrumental in the protection and legal demarcation of millions of hectares of forest.